Columbia Basin Allied Arts (CBAA) welcomes back Geoffrey Castle and his Christmas crew for Castle’s Celtic Christmas Celebration. This is CBAA’s third time hosting Castle at the Wallenstein Theater on Big Bend Community College’s campus – back by popular demand. This is a high-energy, family-friendly show. It will include classic and contemporary holiday songs in a deeply traditional Celtic style of music (which predates Christmas!). If you aren’t in the holiday spirit yet, you will be by the time you leave the theater, Castle assured. “It all started when I began working on my first holiday recording, Underhill’s Angel: A Treasury of Songs for the Season, and I realized that I had a real message that I wanted to share, a musical message of joy and mystery that drew from that deep well of music of the season that pre-dated the crass commercialization of the holiday that increasingly surrounds us,” Castle said. 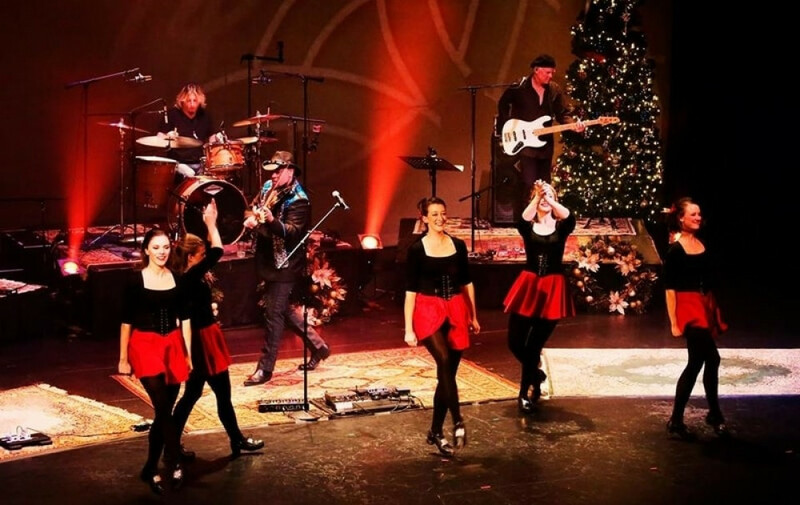 This year, Castle will be bringing Grammy-nominated and platinum record bandmates, professional singers, and dancers from the Seattle Irish Dance Company with him to the stage. Each show is magical, and always a little different, he said. Geoffrey Castle is a pioneer on the electric six-string violin. From his beginnings as a street musician in New York City and Paris, he rose to play in the Tony Award-winning Broadway production of M. Butterfly. A theme of Castle's career is to destroy people's pre-conceived notions of what is possible on a violin, which he does every time he takes the stage. Geoffrey Castle has also managed to share stages with an illustrious group of musicians from bands including Blues Traveler, Heart, Buddy Miles, and Yes. Tickets are available at the Moses Lake Chamber of Commerce located at 1140 S Pioneer Way, or you may purchase online at the website below.